Don’t you just love it, when you find a fabulous piece, at a great price, in your size? 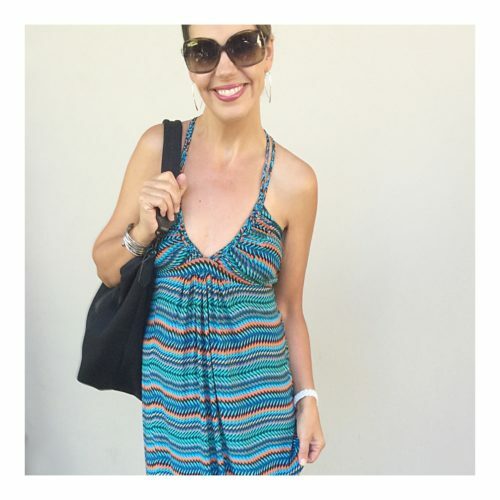 That’s exactly what happened when I came across this maxi – which screams summer, new with tags over at ThredUp! T-bags is one of my favorite brands, when it comes to maxi dresses. Easy wear, easy care – I simply wash mine in cold and hang dry. No dry-cleaning is a huge bonus in my book, when it comes to summer dressing. The styling and fabric of this dress, allows me to wear it without a bra – which is a bonus in the summer heat. 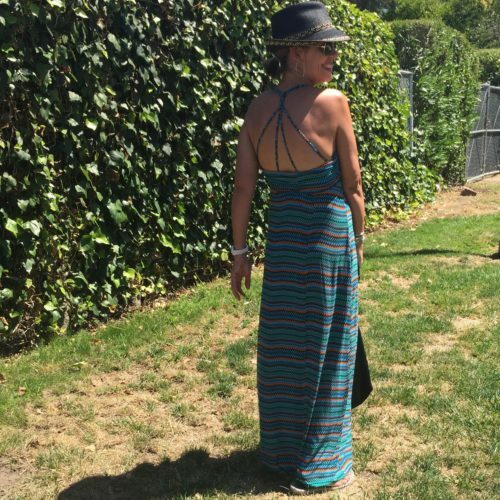 I have worn this dress to the pool with the kids, cocktails lakeside this past weekend, at the beach – to simply doing my thing around town. 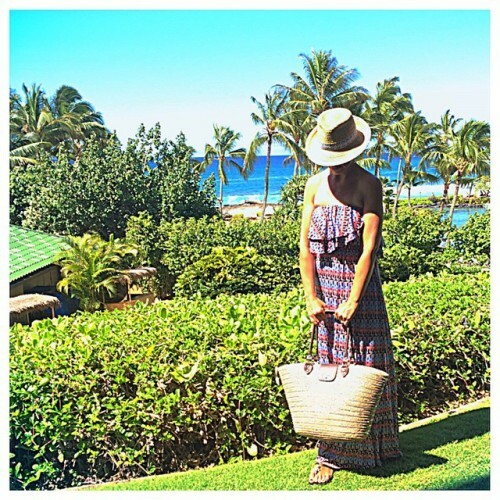 Easy to pack, no wrinkle – these dresses always accompany me, to any vacation destination. Poolside Las Vegas over a swimsuit. and with a denim jacket, for just around town. For reference, I wear my usual size small in these dresses. What to see more T-bags? I picked up my other dresses over at Neiman Marcus Last Call and Nordstrom Rack last year and the year prior. 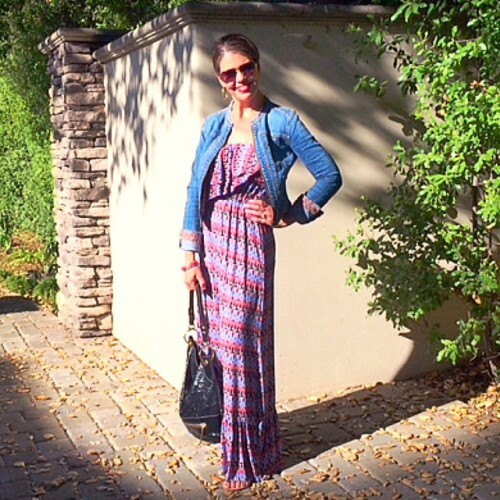 Is your maxi dress too long? Read more in this post HERE.